Notoriously radical "Un-carrier" T-Mobile has set two Guinness World Records in an astounding pair of stunts the company billed as "The World's Most 'Extra' Speed Test." Of course, both records involve water skiing. Trials is a series of motocross games that takes a liberal approach to sports and, incidentally, gravity. 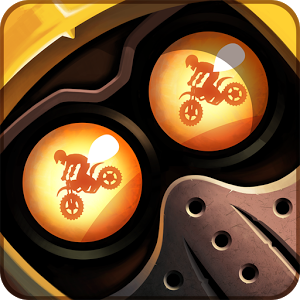 The latest full release, Trials Fusion, saw an iOS counterpart called Trials Frontier. This slightly more cartoony take on the long-running series features the same physics-based racing and orientation gameplay - imagine it as a single-lane, dialed-up version of Excitebike. The Android version was just released, but only in certain locations. We're not sure where, we just know that it isn't the US. In Trials, you control a motocross rider with gas, brake, and orientation, variously setting speed times, landing tricks, and landing on what used to be your face. If you've been following our CES coverage, you know that NVIDIA is quite proud of its next-generation mobile chips. 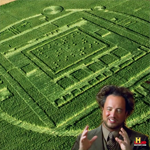 To make sure you get the message of "unearthly technology," they paid a bunch of artists to create a crop circle outside of Salinas, California with a design inspired by the Tegra K1 and its Kepler GPU. I bet Dell's Alienware division is asking, "why didn't we think of that?" The design of the crop circle roughly mirrors the actual layout of the Tegra K1 chip: you can see the five square CPU cores on the bottom of the central square. 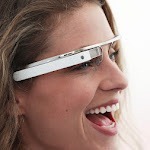 We've been hearing things about Google Glass, the Google-powered eyeball accessory, for a while now. While the device isn't quite ready for consumers (and won't be for a while), we got an extensive look at what these devices can do... right after Google-hired stuntmen jumped out of an airplane while on a Glass-based Hangout, then proceeded to bike across rooftops, rappel down the side of the Moscone Conference Center, and finally bike into the I/O keynote to deliver the device on stage to Sergey Brin. This is the first product announcement in recent memory where someone could have feasibly died during a demo.